We recently reported about a new Zelda: Windwaker inspired game that has set its sights on the Nintendo Switch as well as other consoles. Summer In Mara is well into it’s Kickstarter campaign and has already reached its goal of €35,000 within 48 hours. The project still has another 24 days to go until its end date of March 7th. The Development team have a number of stretch goals in place that will add more content to the game including a surfing minigame. 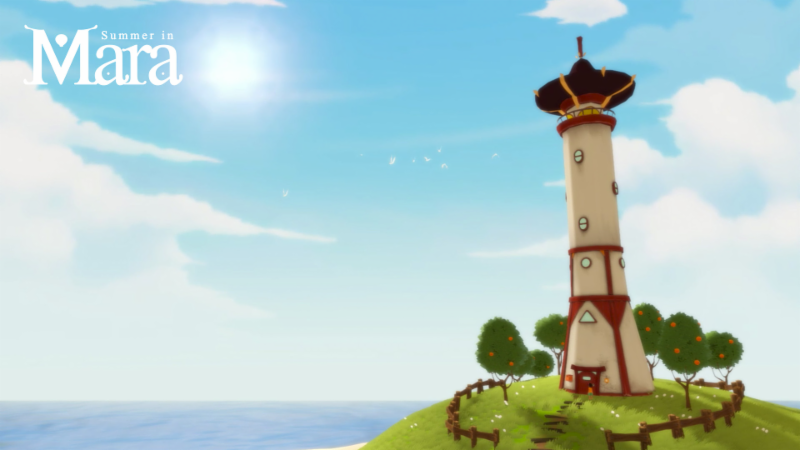 The summer adventure about taking care of your own island and explore the ocean, inspired by The Legend of Zelda: The Wind Waker and Stardew Valley, has now over 40.000 in funding. In a week, more than 1500 backers have helped Summer in Mara, the new game by Chibig Studio, to reach more than 35.000 euros. The project has 24 days remaining to reach new stretch goals. These new stretch goals will help the game expand the game by adding new features, minigames, and content. The project has also included new rewards, like a message in a bottle that the backer can write and it will appear as an item in the game. Summer in Mara will sail away to PS4, Nintendo Switch and PC in September 2019.